Academic Myeloma Physician Needed in North Carolina! The Department of Internal Medicine, Section on Hematology and Oncology at Wake Forest Baptist Health’s Comprehensive Cancer Center is seeking exceptional Myeloma Physicians at all academic ranks due to strategic growth. You will be joining an esteemed team of professionals at one of the nation’s leading NCI-Designated Comprehensive Cancer Centers and academic medical centers. In this faculty position, you will focus on clinical management and clinical/translational research. The Wake Forest Baptist Health’s Comprehensive Cancer Center continues to earn recognition as one of the top institutions of its kind in the country. In 2018, U.S. News & World Report ranked it highest in North Carolina for cancer care and 19th in the nation. The center’s designation by the National Cancer Institute (NCI) as a comprehensive cancer center was renewed for five years, making it one of three such centers in the state, one of 49 in the country and one of the very few to hold the designation continuously since 1990. 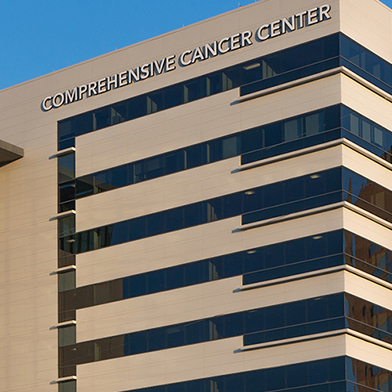 The Comprehensive Cancer Center has a team of 120 clinicians representing all aspects of cancer care including those in the fields of Hematology and Oncology, Gynecologic Oncology, Radiation Oncology, Surgical Oncology and Colon and Rectal Surgery. These specialists are committed to offering patients the latest treatments, technologies and clinical trials, including precision medicine, cancer genomics, and immunotherapy. The center also provides a range of support programs to help patients and their family members successfully address the various non-medical issues they face while dealing with cancer. We are located in Winston-Salem, North Carolina, which is also the home of Wake Forest University and Wake Forest School of Medicine. The city has a population of approximately 250,000 and the area provides four seasons; a very reasonable cost of living; strong schools; an enthusiastically supported arts community; sports teams; active community life; outstanding college and university systems; and is located in close proximity to pristine beaches and the beautiful Blue Ridge Mountains. Please visit our website for more information about the medical center at www.wakehealth.edu. Wake Forest Baptist Medical Center is an affirmative action and equal opportunity employer with a strong commitment to achieving diversity among its faculty and staff. Wake Forest Baptist Medical Center (www.wakehealth.edu) is a nationally prominent academic medical center in Winston-Salem, North Carolina, with an integrated health care network that serves the residents of 24 counties in northwest North Carolina and southwest Virginia. The Medical Center’s primary divisions are Wake Forest Baptist Health, a regional clinical system anchored by the 885-bed tertiary care hospital in Winston-Salem that includes Brenner Children’s Hospital, five other hospitals throughout the region, more than 300 other primary and specialty care locations, more than 2,000 physicians and 1,535 acute care beds; Wake Forest School of Medicine, a recognized leader in experiential medical education and groundbreaking research; and Wake Forest Innovations, the school’s commercialization enterprise focused on advancing health care. Wake Forest Baptist clinical, research and educational programs are consistently rated among the best in the country by U.S. News & World Report.